The racking horse, (E. f. caballus ) was designated by Act No. 1153 in 1975 as Alabama's state horse. It is similar to the Tennessee Walking Horse; it has a smooth, natural gait, is very strong, and has the ability to sustain a rapid pace for long periods of time. The origins of the Racking Horse date back to the birth of our nation. 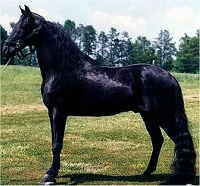 The horse's popularity grew on Southern plantations when it was learned that it could be ridden comfortably for hours. 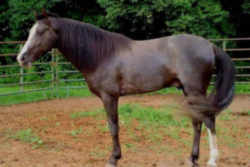 A group of Alabama businessmen headed by Joe D. Bright formed a corporation and initiated the legal maneuverings with the USDA to designate this horse as a distinct breed. A carefully studied program for this venture in the late 1960's was begun. 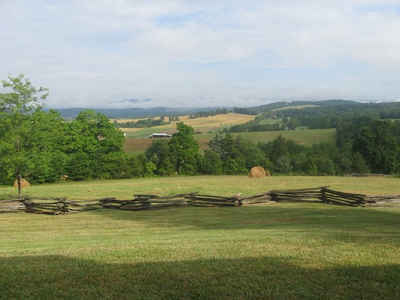 He gathered knowledgeable horsemen long oriented in the breeding and raising of horses both for pleasure riding and show purposes to assist him in this effort. On May 23, 1971, a milestone in the equine history of America was reached. On this date the USDA recognized the Racking Horse Breeders' Association of America, thereby allowing a registry to be established to perpetuate the Racking Horse breed. Until this time the Racking Horse had been the only horse in the show rings of the nation not protected by a registry or a uniform set of rules. The primary function of the Racking Horse Breeders' Association was to "establish a registry to protect and perpetuate the breed." The "rack" of the Racking Horse is a bi-lateral four-beat gait which is neither a pace nor a trot. It is often called a "single-foot" because only one foot strikes the ground at a time. The Racking Horse comes by this gait as naturally as walking or striking a bond trot comes to other breeds. This horse is not to be confused with other breeds in which the "rack" is an artificially achieved gait resulting from special training. Beginning riders find that the Racking Horse is a great horse to use when learning to ride, not only for its extremely comfortable ride, but also because of its unusual friendliness to humans. The Racking Horse is attractive and gracefully built with a long sloping neck, full flanks, well boned, smooth legs and finely textured hair. The Racking Horse is considered a "light" horse in comparison with other breeds, averaging 15.2 hands high (a "hand" is considered to be four inches) and weighing 1,000 pounds. 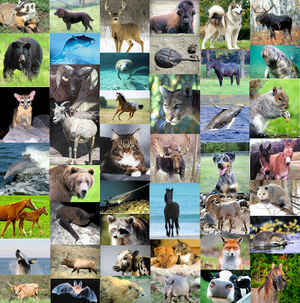 Colors may be black, bay, sorrel, chestnut, brown, gray, yellow and sometimes even spotted. The law designating the racking horse as the official Alabama state horse is found in The Code of Alabama 1975, Title 1, Chapter 2. Section 1-2-10 - State horse. The racking horse is hereby designated and named the official state horse of Alabama.